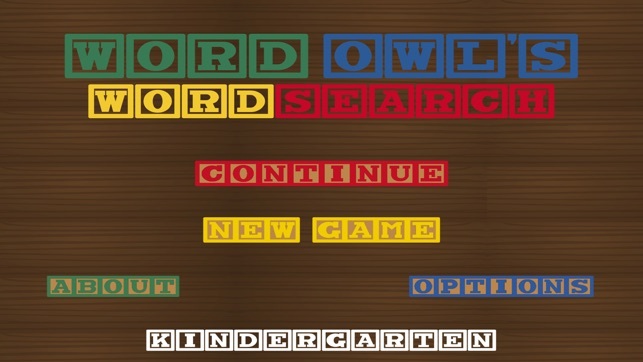 Word Owl's WordSearch is a neat, big, and colorful word search for children. 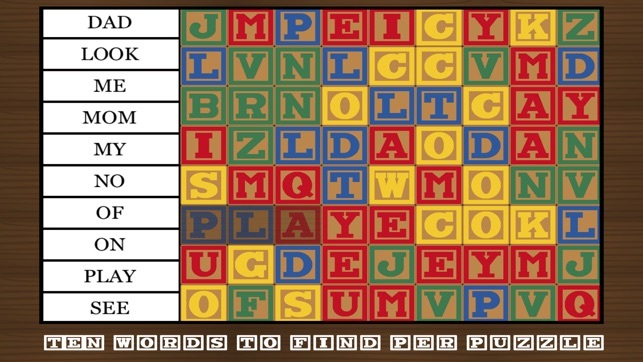 This Kindergarten Edition of Word Owl's Word Search features over 100 sight words for children in or around Kindergarten. These words have been gathered from numerous sight word lists provided by real Kindergarten classes in different schools. Help your kid learn and retain several words while having fun! 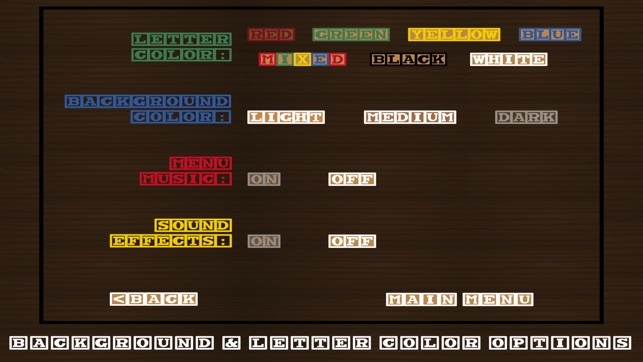 Simply slide your finger across the letters to form a word that's displayed on the left side of the screen. 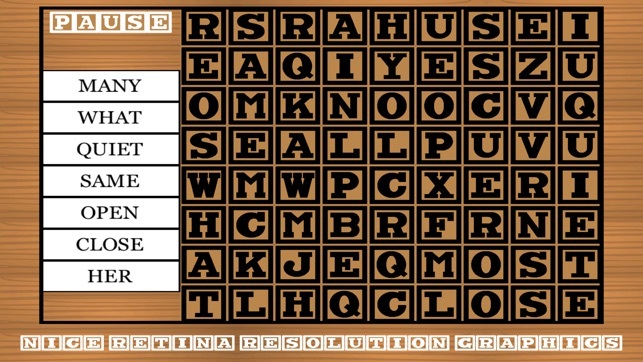 The words are in the word search vertically, horizontally, and diagonally. All of the words are displayed in a forward facing manner. Have fun!